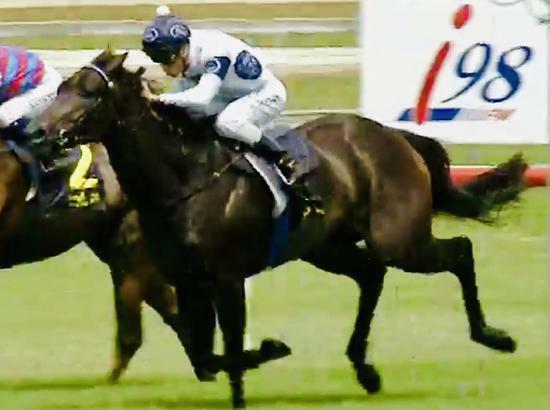 Kim Waugh Racing Stables :: Exciting Maiden Victory to Holy Reign at Kembla on Tuesday! 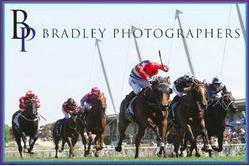 Exciting Maiden Victory to Holy Reign at Kembla on Tuesday! Well Holy Reign certainly had been knocking on the door for a win with 3 previous 2nds and 1 3rd from just 6 career starts, so there was plenty of excitement and relief when he broke his maiden tag when winning the Provincial and Country 1300m maiden at Kembla Grange on Tuesday! What a sensational ride by Blake Shinn who managed to guide him across and settle in the box seat from a wide barrier before easing wide in the home straight to score victory number 1. There is no doubt the son of Manhattan Rain still has his learner plates on, which showed when he floated and ran about over the last 200m, but I'm sure with racing and maybe the addition of blinkers in the future he will become the ultimate professional racehorse! Well done to all the team and his delighted owners - Darby Racing!